For as long as she can remember, Ilaina has been working actively towards social change. Ilaina started her career at the United Nations Argentine Youth Organization in Argentina. When she was only 19 years old, she moved to Spain to work in the International Cooperation Department of the Youth Council of Galicia-Spain, supporting relations with the European Union. Since then, and consistent with her passion for education, innovation and learning from other cultures, she has worked on community-based projects in Uruguay, Ecuador, Bolivia, and Haiti. 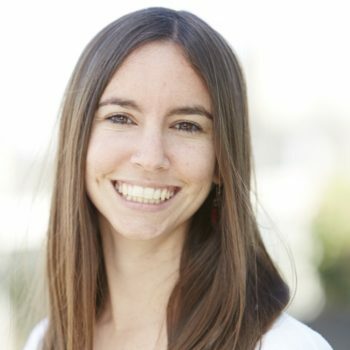 Ilaina was an advisor to the Open Society Foundation and also worked at Ashoka, a global organization that identifies and invests in leading social entrepreneurs for seven years. There, she held several positions: Director of a youth program in Buenos Aires; Global Campaigns Manager in Washington DC. ; Leader of the expansion of Ashoka in Central America; and as a consultant in the creation of the ecosystem of young social entrepreneurs in Kenya. In 2011, Ilaina co-founded Amani Institute, an organization that is developing a new generation of professionals to create social impact. After spending almost three years in Kenya, three years in Brazil, and one year in the United States, she is now based in São Paulo, and acts as the Executive Director of the organization. Ilaina has two Master’s degrees: one in International Studies and Peace and Conflict Resolution from Torcuato Di Tella University (Argentina) and one in Applied Positive Psychology from the University of Pennsylvania (United States).